Roland Park is one of the nicest areas of town in Baltimore. While far from perfect, Roland Park Place is one of the better nursing homes in Baltimore. 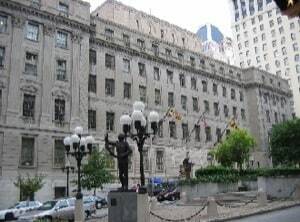 Let's just say the population of nursing home lawyers in Baltimore would drop if every nursing home was like this one. According to Medicare, this facility is excellent: based on its last standard Medicare inspection, it got top 5-star ratings in three of four main Medicare categories, including five stars overall. Roland Park Place is a nonprofit organization that provides skilled nursing are, assisted living arrangements, and care for adults with physical or cognitive disabilities. It also serves as a retirement community for persons living independently. Its maximum capacity is 71 certified beds. The operators of this facility name five factors that constitute "The RPP Difference": prime location, its not-for-profit status; a "customized experience" for residents; "all-in-one costs" (which we take to mean one single monthly fee that covers almost everything), and the fact that Roland Park Place is "small and intimate." This facility is small in comparison with the average Maryland or U.S. facility, having a total of only 71 beds. The average resident population in nursing homes across the U.S. is 86.2 residents; the Maryland statewide average is 107.5. The odd point here is that, at last official count, Roland Park Place had only 51 residents: it was just over two-thirds filled. How does this place have any trouble booking to capacity? Unless there is some reason (unbeknownst to us) for the low resident count, then this point, too, works in residents' favor: it makes this facility more "small and intimate," and also could translate into more nursing staff time with each resident. According to the Medicare numbers, it does just that. There is one other anecdotal measurement of the quality of RPP that is not really a measure of quality at all. But it just very cool. The retirement community at Roland Park - not necessarily just the nursing home - had, at last count, five people 100-years-old or over. Before we get deeper into Roland Park Place, let's look at the competition in the area. There is a great deal of competition but few legitimate competitors to Roland Park in terms of quality. Keswick Multi-Care Center: Here is much the same story as with Autumn Lake: Keswick Multi-Care Center may be physically close to Roland Park Place (just around 500 feet away) but it is nowhere close in terms of the Medicare ratings. Its overall score of 2 stars can't compete with Roland Park Place's five stars. Crawford Retreat: Of the dozen nursing homes located within two miles of Roland Park Place in Baltimore, Crawford Retreat is one of the few that can seriously compete based on its Medicare ratings. This facility gets an overall rating of 4 stars (above average) and the top rating of 5 stars for quality measures. That puts it far ahead of most nursing homes. But Roland Park Place is so good that it beats Crawford Retreat in three of the four main Medicare categories (including with an overall 5-star rating). Autumn Lake Healthcare at Alice Manor: Perhaps a three-minute walk away from Roland Park Place, this facility comes nowhere near close to competing with its upscale neighbor, which tops it by a 2-star margin (or better) in all four main Medicare rating categories. Manorcare Health Services - Roland Park: This Manorcare owned facility matches Roland Park Place with its 5-star Medicare rating for quality measures, and that is a noteworthy achievement. However, Manorcare otherwise gets mediocre Medicare scores, versus the high scores Roland Park Place gets across the board. FutureCare Sandtown-Winchester: Like Manorcare, this FutureCare facility competes with Roland Park Place on Medicare's quality measures (both get five stars) - and, like Manorcare, FutureCare Sandtown-Winchester gets lower scores than Roland Park Place in the other three main Medicare categories. FutureCare Homewood: One of three FutureCare facilities within two miles of Roland Park Place, Homewood gets more-than-respectable ratings from Medicare, placing it ahead of the average nursing home anywhere in the U.S. But above-average hardly competes with RPP, which is rated much above average overall. FutureCare Charles Village: Located only about three blocks from FutureCare Homewood, this FutureCare facility got lower Medicare scores than its neighboring sister facility, so it is even less able to compete directly with top-rated Roland Park Place. Northwest Healthcare Center: Northwest almost competes with Roland Park Place on quality measures (4 stars to 5 stars) but otherwise it gets 2-star Medicare ratings across the board, and Roland Park Place wins hands-down. The Green House at Stadium Place: This Baltimore facility's Medicare scores work out to be almost exactly average - whereas Roland Park Place's scores came out to be almost perfect. Little competition for RPP in terms of geography or quality. Levindale Hebrew Geriatric Center and Hospital: Here again is a facility that matches Roland Park Place on at least one Medicare metric (in this case, staffing) but that falls well short in the three other main Medicare categories (including its overall rating). Blue Point Healthcare Center: With an overall 1-star rating from Medicare, Blue Point hardly competes with anybody - much less the 5-star Roland Park Place. Greater Baltimore Medical Center Sub Acute Unit: Here, at last, is real competition for Roland Park Place: this other Baltimore facility got the same near-perfect Medicare scores as its Roland Park rival. But, alas, this is not a real competitor at all. This is GBMC's short-stay facility that has only 25 beds. Roland Park place got a Medicare 5-star rating for its staffing (that is, nurse staffing), and (within that category) another 5-star rating for RNs specifically. In terms of total nurse time per resident per day, Roland Park Place is almost the same as the Maryland and U.S. averages. It is about the same on RN time per day (4 minutes more than the Maryland average) and on daily time spent by licensed practical nurses and licensed vocational nurses (3 minutes less than the Maryland average). It is on par with the state and U.S. averages on physical therapist time per resident per day. Where Roland Park place differs is on time spent by certified nursing assistants: this facility is far more generous than average. Its CNAs spend 3 hours and 50 minutes per day with residents -- almost an hour and a half above the Maryland and U.S. averages. Medicare's category of quality measures is a statistical scoring of the types and amounts of care residents receive. If a facility has great nurse staffing, it would seem to follow that it would have great quality measures (which are the products of what nurses do for residents). In fact, that correlation doesn't happen everywhere - but apparently it does at Roland Park Place, which got a 5-star rating for quality measures. Medicare breaks down quality measures for short-stay and long-stay residents. Among Roland Park Place's good metrics for short stay residents are its very low rate of pressure ulcers (bed sores) - only 0.7 percent of these residents acquire them - and its zero percent usage of antipsychotic meds. This facility's short-stay residents also are more likely than average to improve their functionality. Although on par with the averages on vaccinating for flu (reaching 80 percent of short-stay residents), Roland Park Place for some reason pays less attention to the threat of pneumonia, giving preventive shots to only three in 10 of these residents (the state and national averages are about eight in 10). Roland Park Place also has a somewhat less successful discharge rate for short-stay residents than the state and national averages (52 percent here, versus 59.3 percent for Maryland, 56.9 percent nationally). However, those former residents of this facility, once discharged, are less likely than average to be rehospitalized, and they are five to six times less likely than average to need an ER visit. The relatively few imperfections at this facility are almost complimentary by virtue of being relatively minor. Roland Park Place got a single 4-star Medicare rating (above average) for its health inspection. That inspection found a total of 3 deficiencies - less than half the U.S. average (7.1 deficiencies) and less than a third of the Maryland average (11.4 deficiencies). If that performance is worth only four stars, what's it take to get 5? On fire safety, Roland Park Place again was superior to the Maryland and U.S. averages: it had only two fire safety deficiencies, versus 3.4 deficiencies on average nationally and four deficiencies on average in Maryland. Roland Park Place has had no federal fines or payment denials in the past three years. This facility has had one complaint inspection in the past several years, this one occurring in July 2016. Medicare complaint inspections can address any number of separate complaints; this inspection addressed one. A resident was found to have a serious bruise on one arm. Investigators concluded that a staffer had caused this injury inadvertently by trying (contrary to the rules) to move the resident without the aid of a second staffer or lifting equipment. The facility responded by giving additional training to all staffers about the proper handling of such situations. Here in part is what Roland Park Place says about itself: "Roland Park Place (RPP) is the only full-service, accredited nonprofit continuing care retirement community in Charm City and a leader in aging services for older adults and their families." (For those of you from out of town, "Charm City" refers to Baltimore.) Whenever a facility claims to be the only one that does some good thing, our radar starts blipping. Frankly, we don't know whether Roland Park Place is the only such facility - although we do know that at least one nearby facility got equally high Medicare ratings. But we will concede that whatever else Roland Park Place may be, it is much above average. Does this mean this that you will never see viable nursing home lawsuits against Roland Park Place? No. 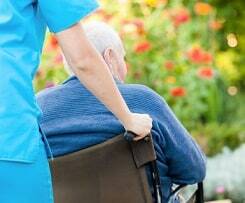 Even good nursing homes make serious mistakes that cause injury and death. But mistakes that lead to litigation are a lot less likely in a place like RPP. Has someone in your family suffered needlessly at the hands of a nursing home or assisted living facility that has made an error? Call our nursing home attorneys today at 800-553-8082. Not ready to make a call? You can get a FREE no obligation online case analysis.